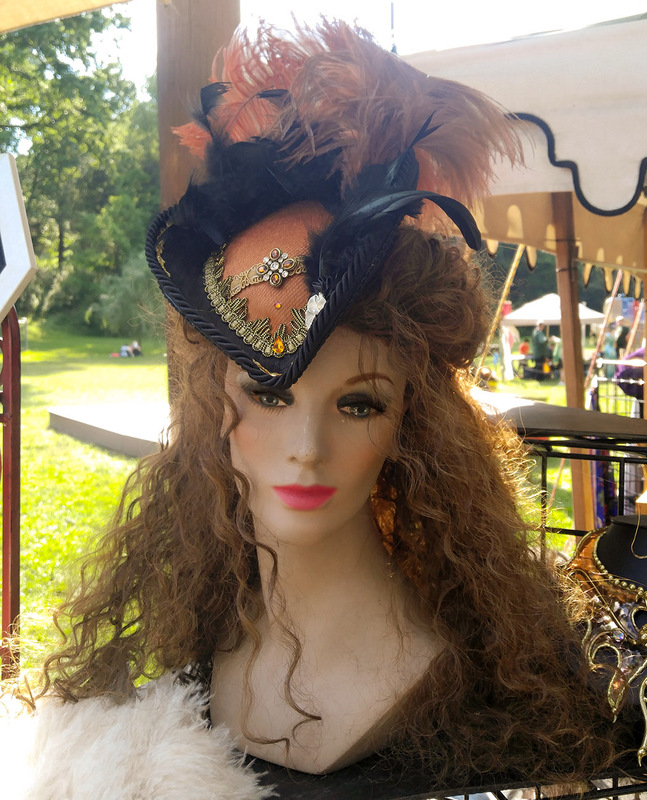 The Scarlett Heart Renaissance Period Ladies Hat. This hat is a free size, as it is designed to perch jauntily at an angle or straight on your head. Don't let this little beauty get away. So You're a Pirate you say! 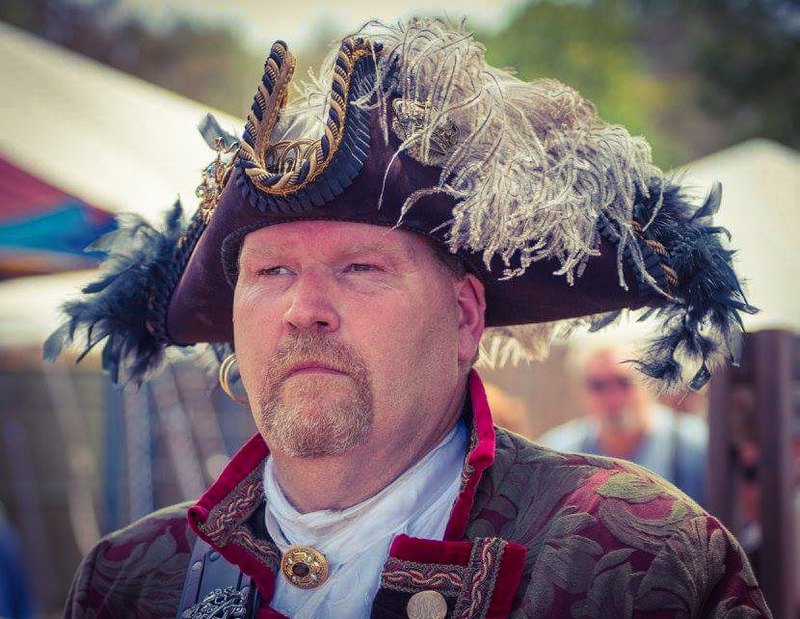 Then The Scarlett Admiral is the Tricorn of choice for you. This hat fits standard head sizes but also can be customized. Do you want GLAMOUR? 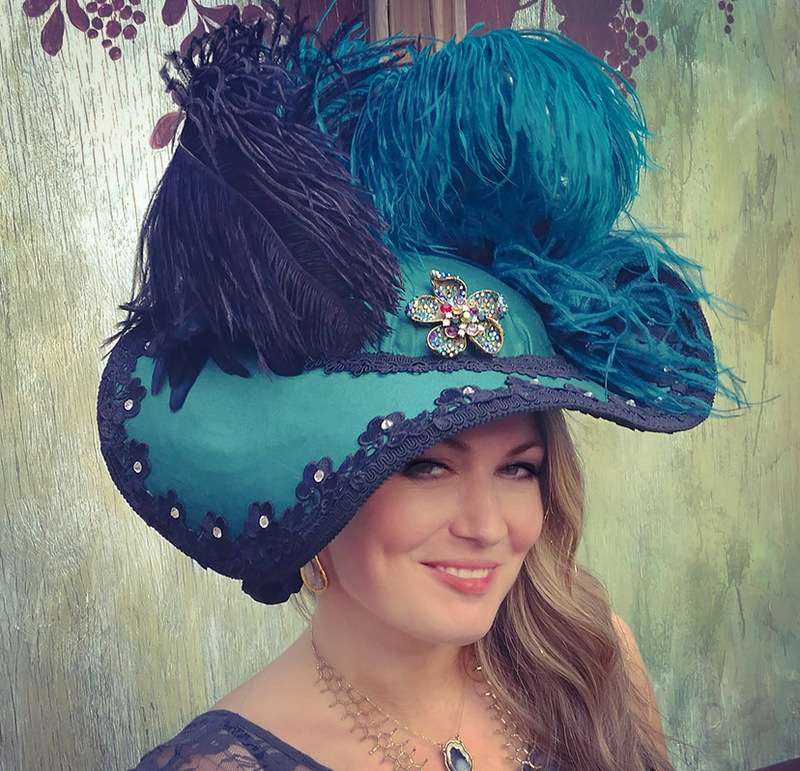 UNIQUE and one of a kind Custom hats are one of our SPECIALTIES. The Scarlett Rose does Unique in a BOLDLY BEAUTIFUL Fashion!